United Yacht Sales New Jersey would love to guide you through a personal showing of this 55' Hinckley 2004. This yacht for sale is located in United States and priced at $1,400,000. For a showing please contact us by filling out the form on this page and we will get back to you shortly! MID SUMMER’S DREAM is a stunning and fast example of this well admired Bruce King designwhich is being offered on the brokerage market for the first time.Providing spacious accommodations for up to six adults in two private staterooms and a convertible settee in the salon, she is ideal for use as a couple’s getaway or for family cruising. Beautifully appointed with satin finished cherry, high gloss teak and holly sole, top quality fabrics and reliable machinery ensure her next owner a continued level of style, comfort, and performance relatively few ever have the opportunity to experience. 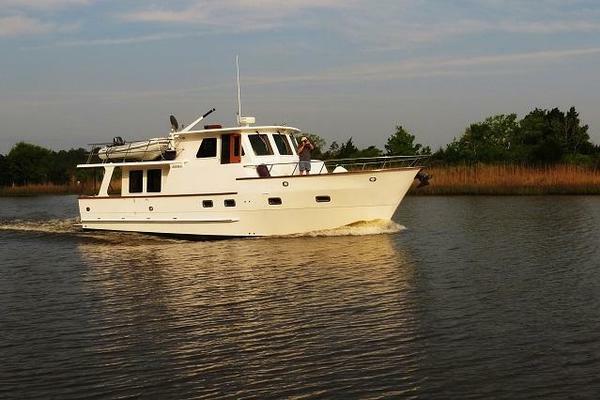 Very well recommended by her broker, this is one Hinckley 55 not to miss.